Ambassador car modified? Check out here these amazing renditions. Ambassador car modified? 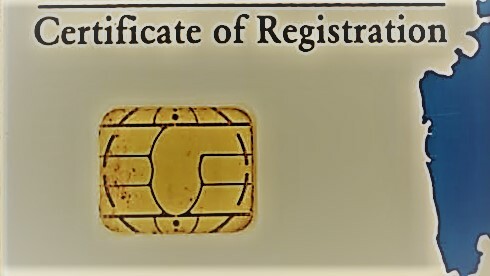 Yes, check it out here! The Hindustan Ambassador was an iconic vehicle in the history of India. 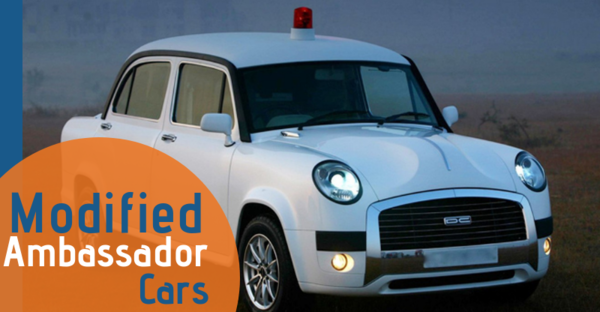 Initially manufactured in the year 1958, Hindustan Motors continued the production of Ambassador until the year 2014. The Hindustan Ambassador was based on the Morris Oxford Series 3 car which was developed by the Morris Motors Limited in United Kingdoms between the year 1956 and 1959. Popularly known as the ‘King of Indian roads’, Ambassador was manufactured near Kolkata in the Indian state of West Bengal. 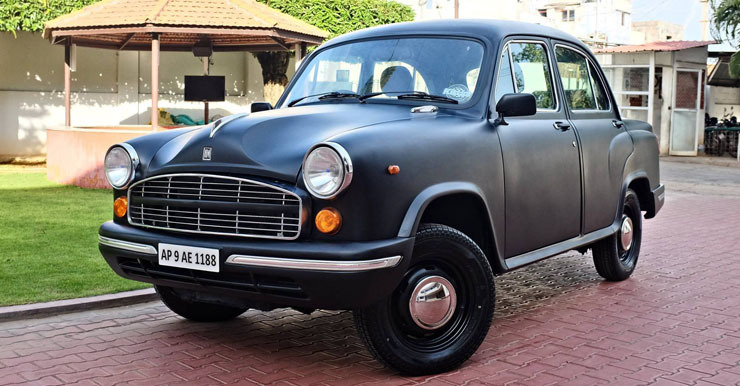 Hindustan Motors also produced the Ambassador at a plant near Chennai in Tamil Nadu. Later in the year 1992, Ambassador was exported to British markets under the tag of ‘Fullbore Mark 10’. 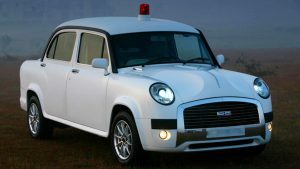 To meet with the European safety legislation, Hindustan Motors introduced a heating system and seat belts in the Ambassador. The Hindustan Ambassador was a huge part of the Indian government. Many ministers in the country still use the Ambassador as their choice of vehicle. One of the most famous modified Ambassador car in India, the DC Ambierod is designed by Dilip Chhabria Design Studio. Known for making common cars look extravagant and futuristic, DC has been the king of modified cars in India. 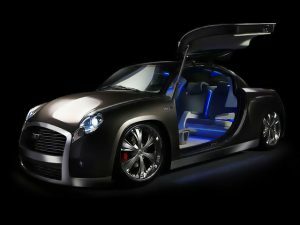 DC modified Ambassador is a powerhouse vehicle presenting top-notch futuristic design concept and a V12 engine. The DC Ambierod was last showcased at the 2008 AutoExpo. There is no news if we can see the production version of the Ambierod anytime soon. Another concept design of the Hindustan Ambassador is rendered by the SRK Design studio. Short for ‘Shoeb R Kalaria’, SRK Design has made their mark in the Indian car modifications market. This concept is inspired by the Porsche 911 and Aston Martin. 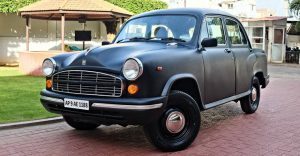 Another custom rendition of the Hindustan Ambassador also comes from the house of Dilip Chhabria in India. Ambassador has been the choice of vehicle for many politicians in the country. To continue the legacy of being the car in service for the nation builders, DC designs have come up with a new age version of the automobile. The DC VIP Amby is designed by keeping the elites in mind. The design language of the DC designed VIP Amby inherit the silhouettes from the iconic Ambassador coupled with modern headlamps, wide DC grille, fog lamps and LED tail lamps. Inside the cabin, DC VIP Amby is stylised with premium upholstery, a wooden framework with enough space to relax while being driven by the chauffeur. 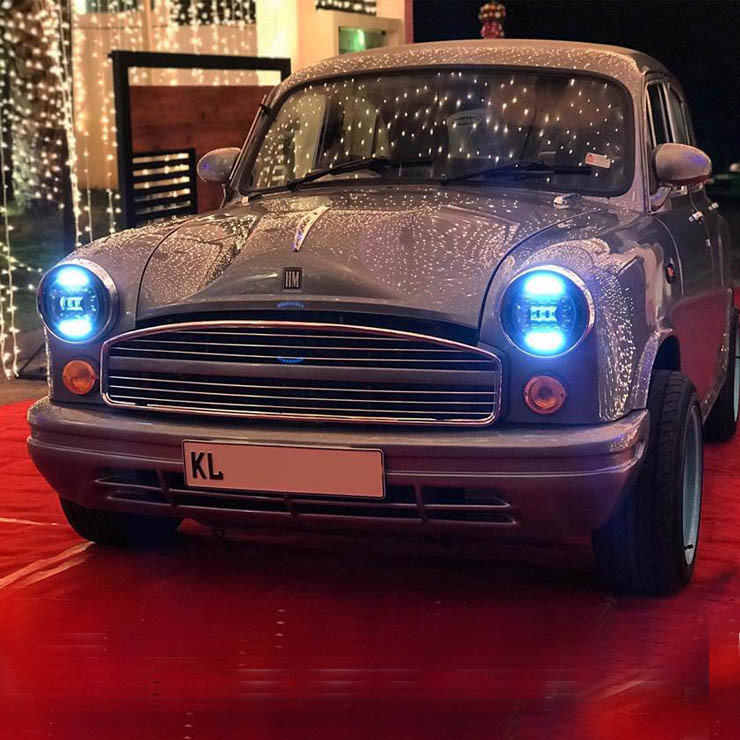 Remodelled by Shibu Sunny John from the Indian state of Kerala, this rendition of Hindustan Ambassador is powered by 2.0-litre diesel engine. This is the engine which initially powered this iconic vehicle back in its golden age. This particular rendition of the Ambassador rolls on 15 inches wheels. The exterior of this vehicle gets custom headlamps with LED daytime running lamps. The metallic paint on this vehicle gives it a more unique overall stance. Restored by Ceramic Pro Calicut to its former glory, this rendition of Ambassador is an absolute show stopper. This is a 1969 Mark-II Amby remodelled to look mean with shiny paint job and modifications. 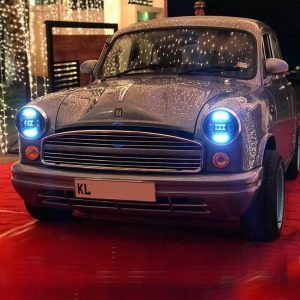 The Ambassador car modified by ceramic pro-Calicut also get clear lens indicators, multi-spoke alloy wheels, outside rearview mirrors and clear lens tail lamps. 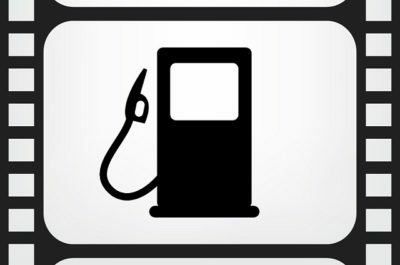 A power steering is also provided in this vehicle. Ambassador car modified by KitUp! 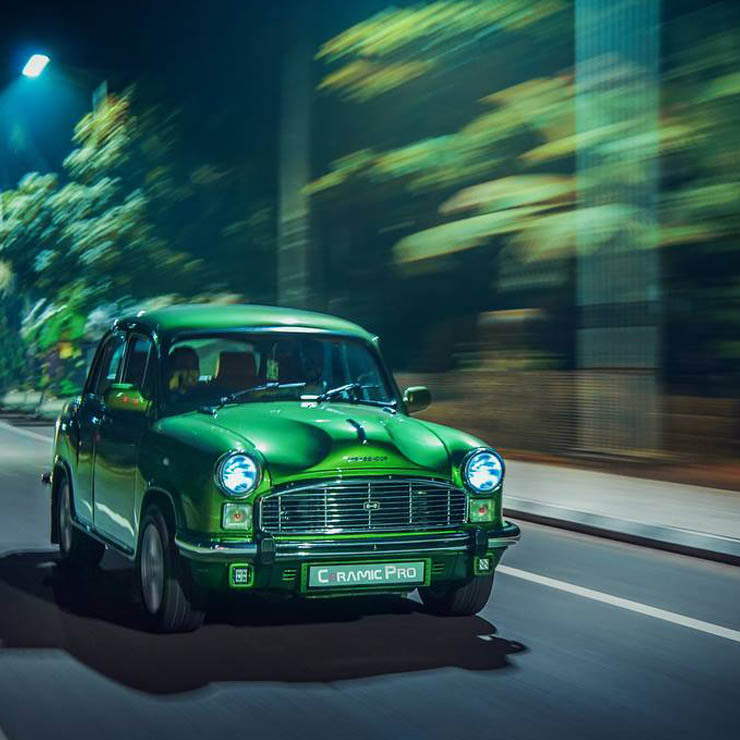 The Hindustan Ambassador modified car by KitUp is another stunning rendition of this iconic sedan from India. Studded with an eye-catching black matt paint job with black treatment on the steel rims of the wheels, modified Ambassador car by KitUp also get a chrome finish all over its exteriors. 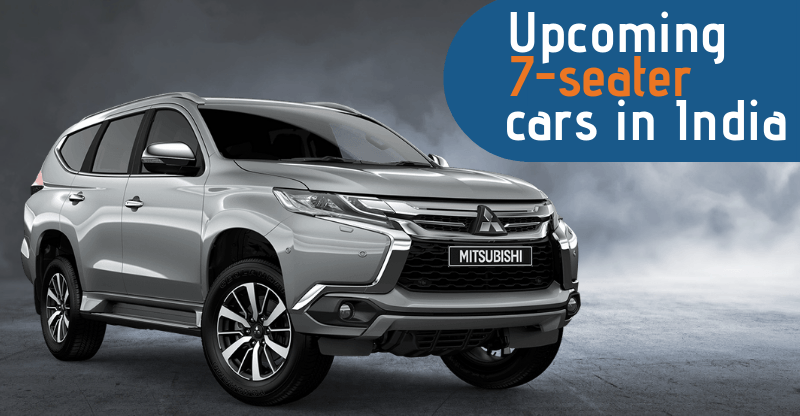 To maintain originality in the design, KitUp has retained the original front grille and headlamps of the vehicle. Inside the cabin, this car gets tan leather upholstery coupled with tan dashboard and steering. 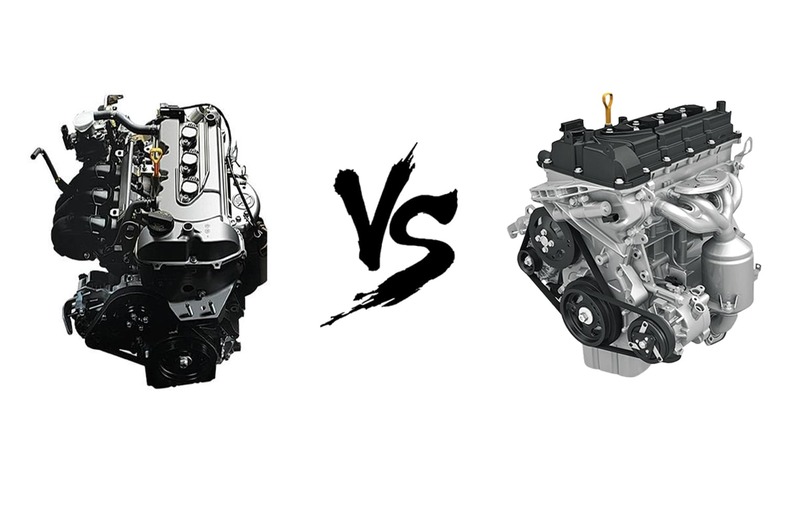 If you wish to read more about car, visit our blog here. Another delight for the adrenaline junky in you, this modified Ambassador by KS MotorSports is given a beautiful red paint job. This car is based on the 1994 version of Nissan Sylvia S13. The chassis of the Nissan Sylvia is made to fit with the body of Ambassador to carve out this mean machine. Powered by a 2.0 -litre turbocharged petrol engine with Garrett turbo, intercooler and Nismo exhaust system, this Ambassador is no less than a race mobile. A new set of suspensions and axles are installed in this car. The interior of the Ambassador turbo is stylised in red all over. Do you have a Hindustan Ambassador car which you want to sell? 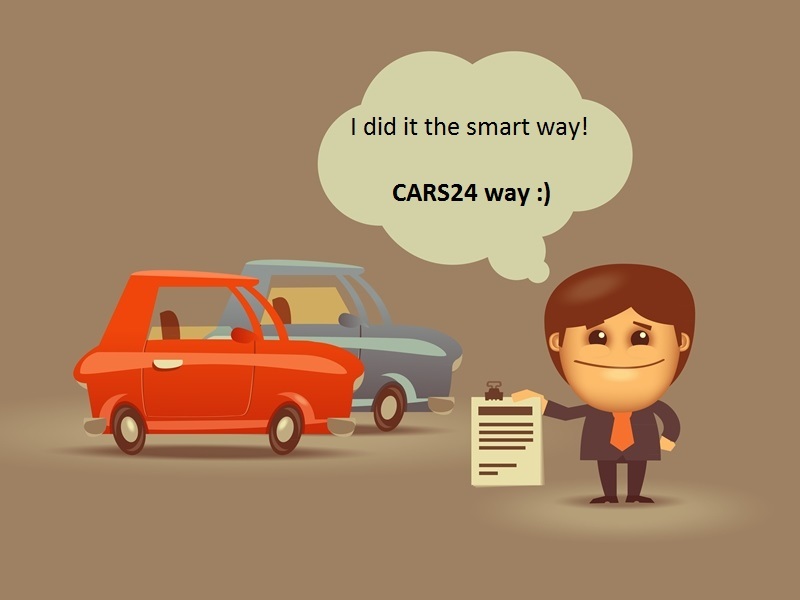 We at CARS24 are on a mission to simplify the used car market in India. 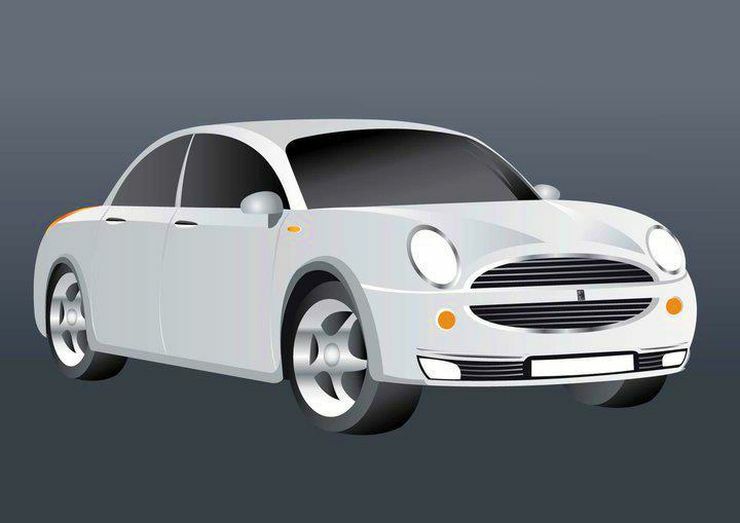 We are a technology driven solution to the age old problem of selling your used car at the best price. 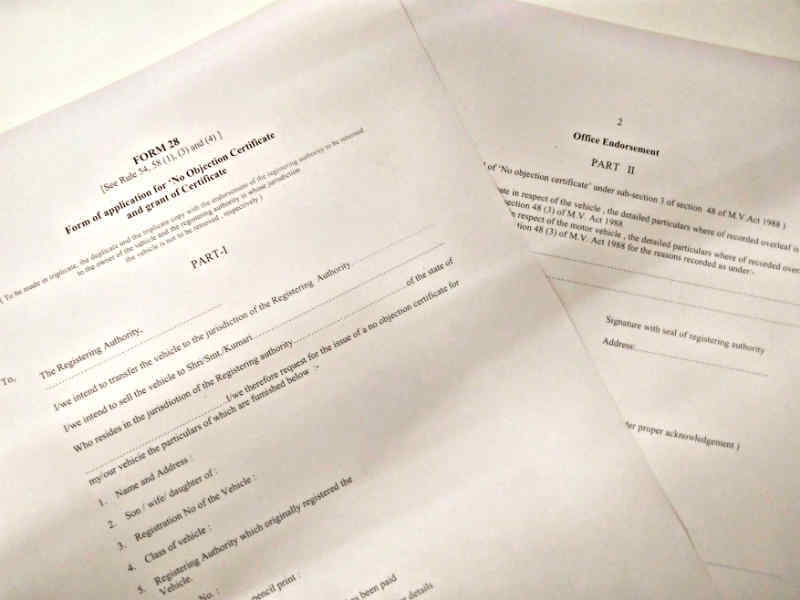 We also take care of all the documentation involved in selling your used car.